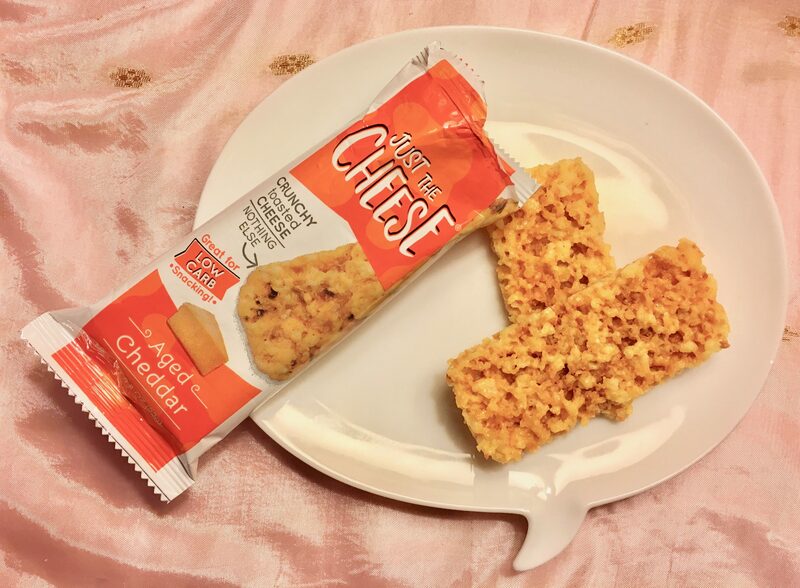 Product Review: Just the Cheese Crunchy Baked Cheese Snacks! Do you like cheese? I sure do. Cheese is my favorite food group! For me, one of the most exciting things about making a quesadilla or grilled cheese sandwich, or heating up a slice of pizza, is when a bit of melting cheese oozes onto the surface of the hot pan and bakes into a little cheesy wafer of impossibly delicious goodness. Step away from the crunchy cheese, I say — it’s mine! But seriously, if the idea of eating crunchy cheese is exciting to you, but maybe the process of grating cheese into a hot pan and waiting for it to get all golden-brown and crisp seems too labor intensive, then you will be glad to learn that Just the Cheese crunchy baked cheese snacks are a thing that exists. 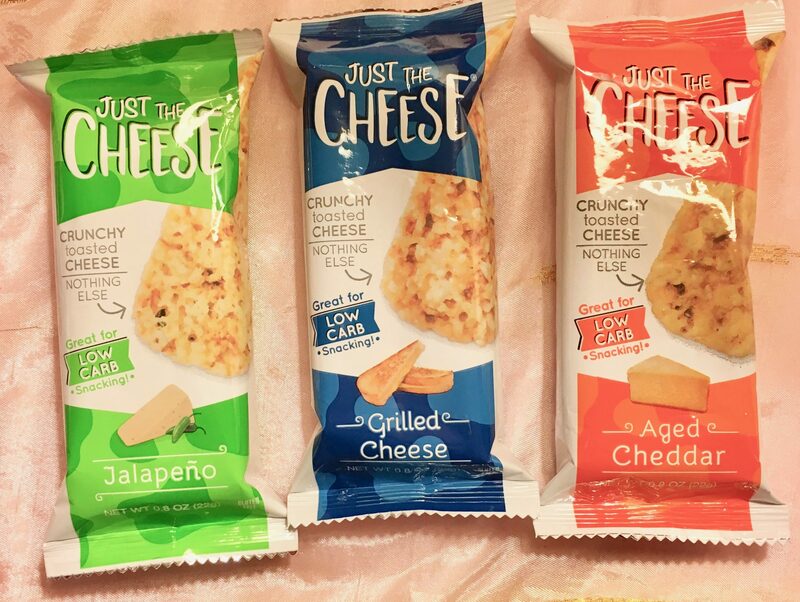 Just The Cheese crunchy cheese snacks are made with 100% natural Wisconsin cheese with no artificial additives or preservatives, so they are gluten free and low carb. Each packages contains two snack bars (just 75 calories each) of crunchy baked cheese that tastes just as delicious as you would imagine. Since Just the Cheese needs no refrigeration, it is the perfect grab-and-go snack for your purse, back pack or desk drawer. And if a cheese-loving friend or co-worker becomes curious when they see you snacking blissfully on your delicious crunchy cheese, well, you have bar to share wit them — that is, if you can bear to part with it. 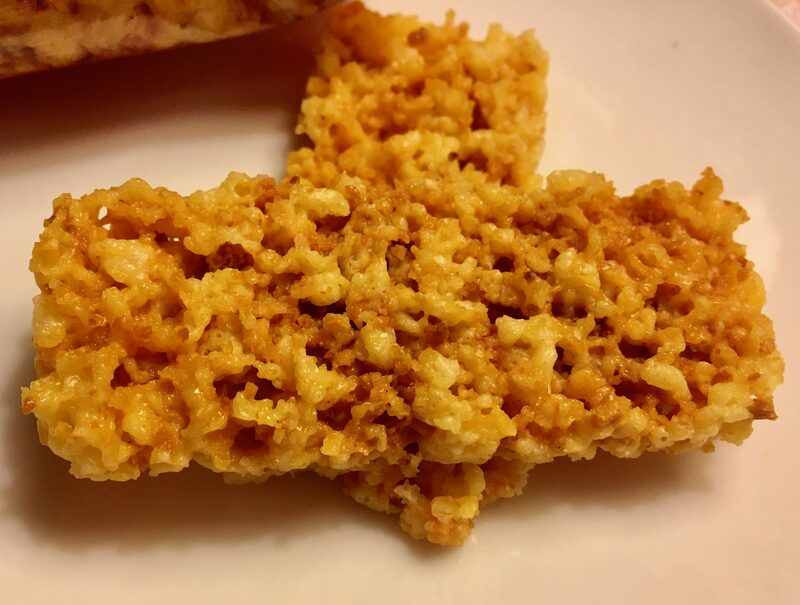 You could even use Just The Cheese snack bars as a cracker substitute, adding a variety of your favorite toppings (more cheese, anyone?) to create fancy snacks for your next party! 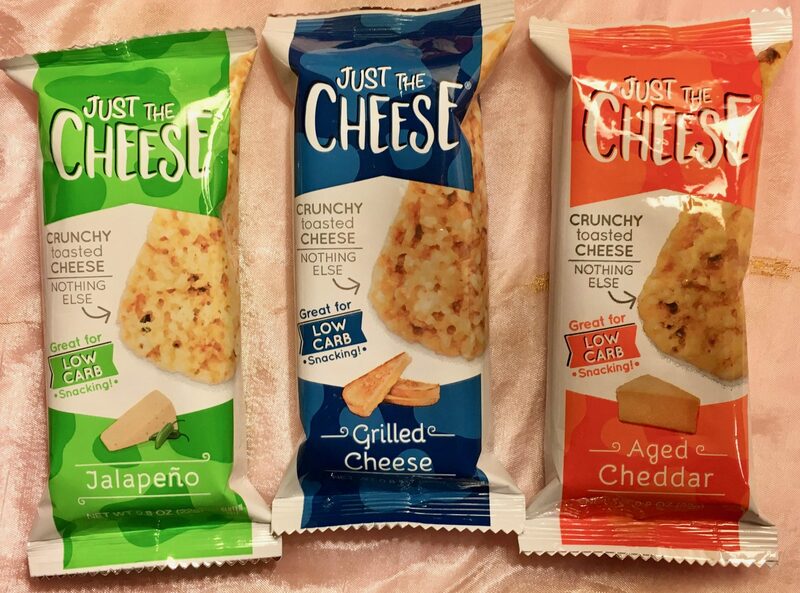 Just the Cheese crunchy baked cheese snacks, made with love by Specialty Cheese Company, come in three simple flavors: Jalapeño (with real jalapeño pepper bits baked right in), Grilled Cheese, and Aged Cheddar. These snacks are currently available only in select brick-and-mortar markets, but you can buy them via online outlets such as Amazon Prime and others. Visit Just The Cheese Dot Com to order yours now!